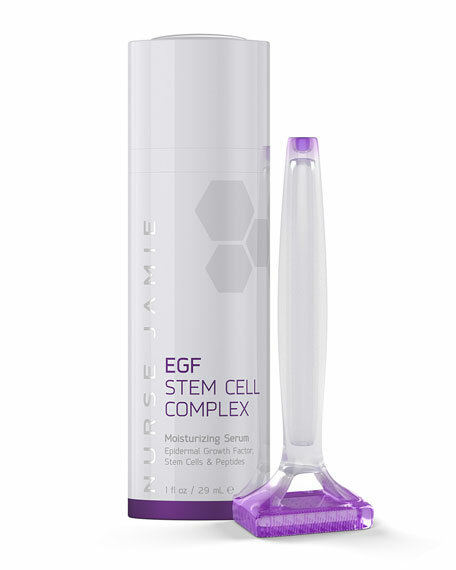 The Beauty Stamp and EGF Stem Cell Complex together are a truly unique treatment that have an overall tightening, smoothing and pore refining effect on the skin. Give your skin lasting perfection. The Beauty Stamp is a unique micro-exfoliation tool that utilizes a gentle 'press & lift' action to enhance delivery and promote increased effectiveness of your skincare products. The Beauty Stamp used with the EGF Stem Cell Complex Moisturizing Serum stimulates collagen and elastin production for more supple, renewed, and radiant skin.